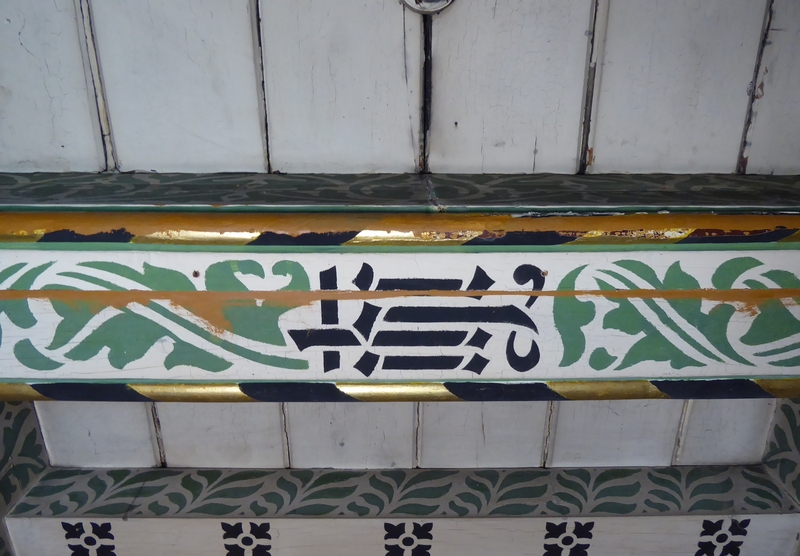 Whilst recording the pre-treatment condition, we found that blind cleavage and flaking to the green stencilled decoration was more extensive than it had been expected following the initial assessment from a mobile tower scaffold. This was a significant issue and a threat to the long term stability of the exposed painted scheme. We targeted these areas by consolidation with Lascaux Medium 4176 applied by spray and injection, depending on the characteristics of flaking. 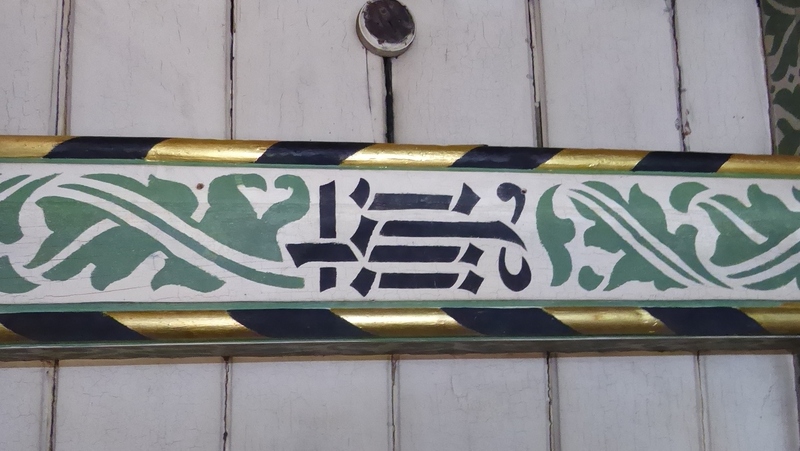 Following extensive testing we succeeded in partially removing modern orange paint smeared over the ceiling along the edges of previously fixed plasterboards and applied as graffiti to one of the beams. Limited retouching in watercolour and gouache paints and localised re-gilding was undertaken where overpaint could not be lifted without damage to the underlying gold leaf and more sensitive black paint. 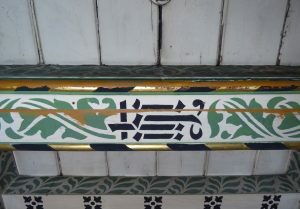 Water-based glaze was applied over the new gold leaf to match the more muted appearance of the original. 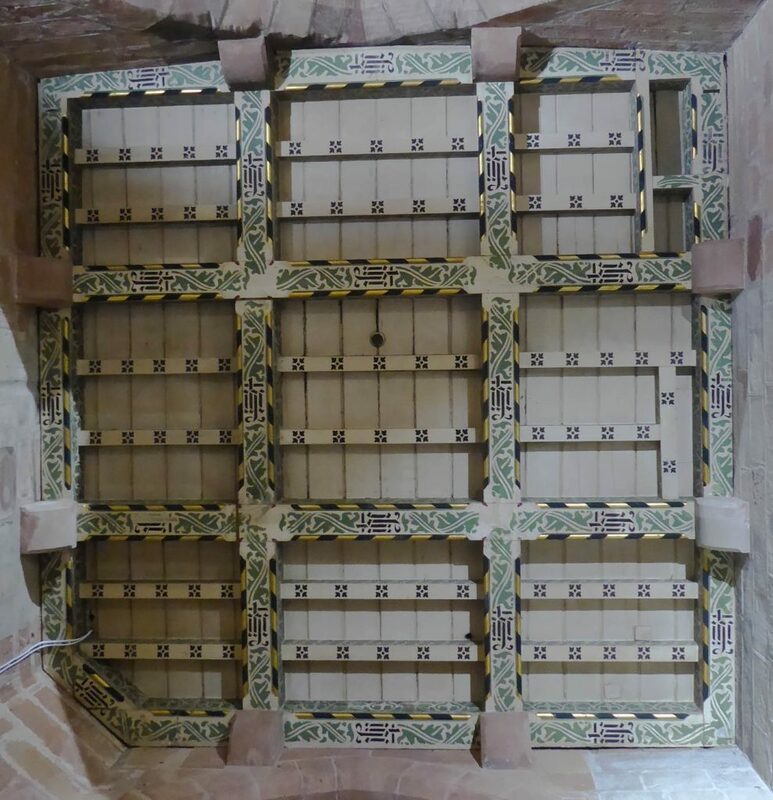 Unfortunately, funding did not allow for aesthetic repairs or restoration, and surface cleaning had to be limited to dry brushing and vacuuming of the cobwebs and loosely bound dust particles in the areas of stable decoration. However, within our time frame we managed to blend in some of the most disturbing paint losses. The watercolours used for this purpose will stay easily reversible in the event that cleaning and retouching in colours matched to the cleaned original is undertaken in the future. 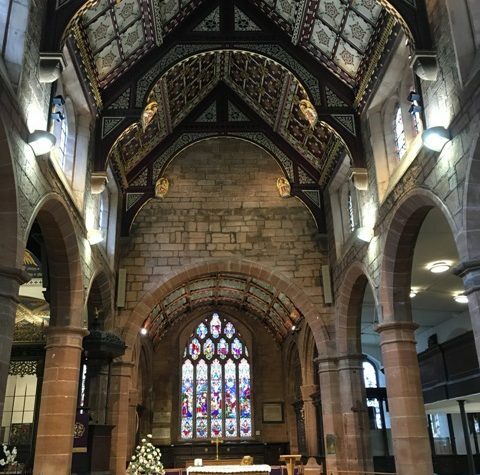 We are very impressed by the well maintained and accessible Holy Trinity Church and by its caring congregation and it is worth visiting when in the area to appreciate the beauty of this magnificent building. Open days are usually held on Wednesdays and Thursdays from noon until 2pm. 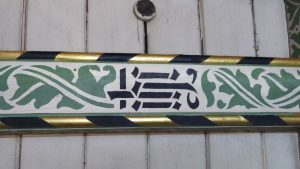 Further information including an extensive interactive timeline and floorplans can be found on the church’s website at: https://www.htsc.org.uk/.